The Cavaliers have now lost five of their last seven games, but none of those losses has come close to being so ugly as tonight. 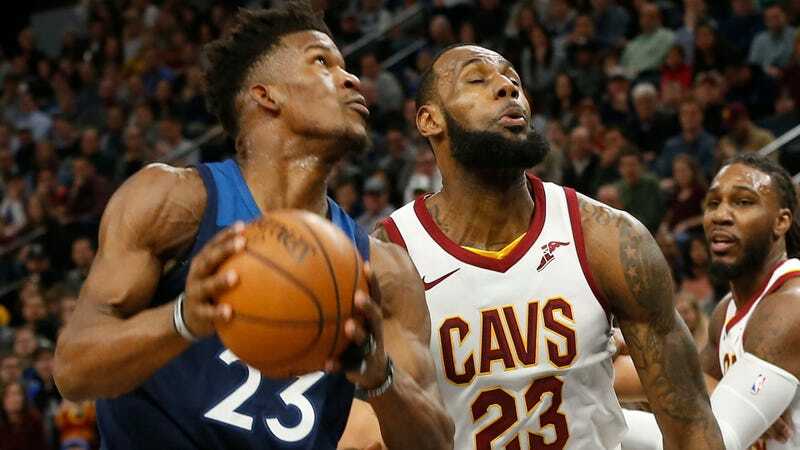 It’s grossly obvious in the final score—127-99, Timberwolves—but it was obvious in just about every single moment prior, with Minnesota scoring first and never relinquishing that early lead. There are any number of ways to show just how bad this was for the Cavs. They were out-rebounded by 19. The Timberwolves topped 100 points by the end of the third quarter. Three Cleveland starters had fewer than five points. The remaining two were Isaiah Thomas, who scored nine after missing his first seven shots and before being ejected midway through the third quarter, and LeBron James, who had his weakest showing in quite a while with 10 points. He’s had a plus-minus of -30 or worse just six times in his career, though he managed to score at least 16 points in each of those games; tonight was the worst of them all, with a plus-minus of -39. Negative thirty-nine! LeBron told the Cleveland Plain-Dealer that he didn’t care about this particular not-so-fun fact—“I don’t care about no damn plus-minus. I’ve won a game and had a bad plus-minus before, so what does that matter? I don’t give a damn about no damn plus-minus”—which, whatever, as that’s but one measure of how much garbage there was from the Cavaliers tonight. This is the second game in a row that’s seen the Cavaliers reach a team worst for points allowed this season, after giving up 127 in Saturday’s win over the Magic; there’s not too much room for things to get worse next, on Thursday against the Raptors.